Rooted from the Greek word “ekzein”, eczema is a term referring to a group of skin conditions that disturbs plenty of people. Sometimes, it can be used to relate to atopic dermatitis, a chronic skin disease for children happening due to allergy. In a more common case, eczema describes the rash – like skin conditions coming along with itchy, red, rough, inflamed and cracked. It is recorded that up to 20% of children and 3% of adults worldwide experience some types of eczema annually; especially people who live in colder areas are more likely to suffer from it. Eczema is considered as a complex, stubborn trouble with a lot of uncomfortable symptoms. 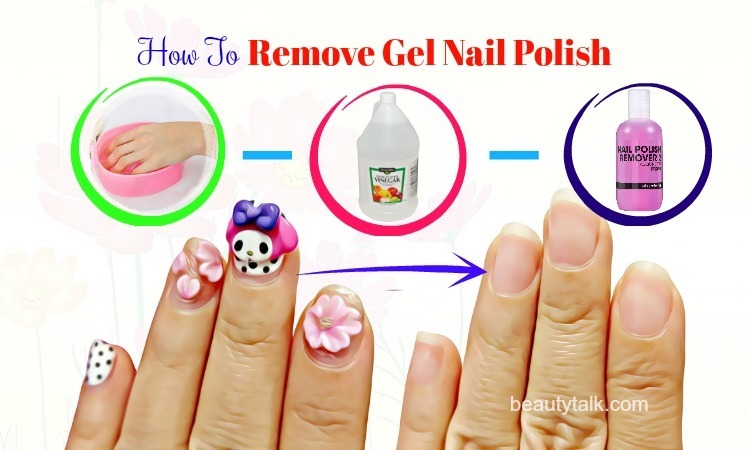 There are a lot of remedies and solutions suggested for this issue, each of which is specified for different types. 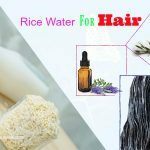 Among all of these treatment options, an adjustment in the daily diet including eliminating foods that cause eczema is considered as the top practical and effective one. Just with some changes with the intake, you can reduce the risk of catching eczema in the very first place. 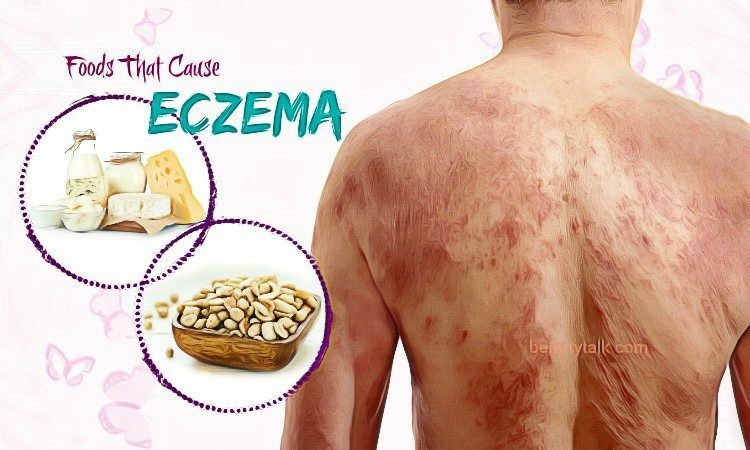 In this article, Beautytalk.com will list out some types of common foods that cause eczema outbreaks or make it worse that you should be aware of. Don’t skip it as it may be beneficial to you in some days. Before taking a deep look at foods that cause eczema, there are two things you should keep in mind. First of all, an elimination diet should only be carried out under the supervision of a health practitioner, especially when it is applied to small children. The latter note, and also the more important one, is that this list is just about the possible eczema triggers. It means that they may not be the actual allergies for your case, so don’t be confused with two concepts or it may be life-threatening. 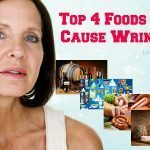 These foods below are applied to everyone yet for some, the actual causes may beyond this list. 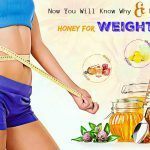 So, if you experience any instant reactions after consuming some typical types of food, even they do not appear in this list, let ask for help from the doctor for timely actions. 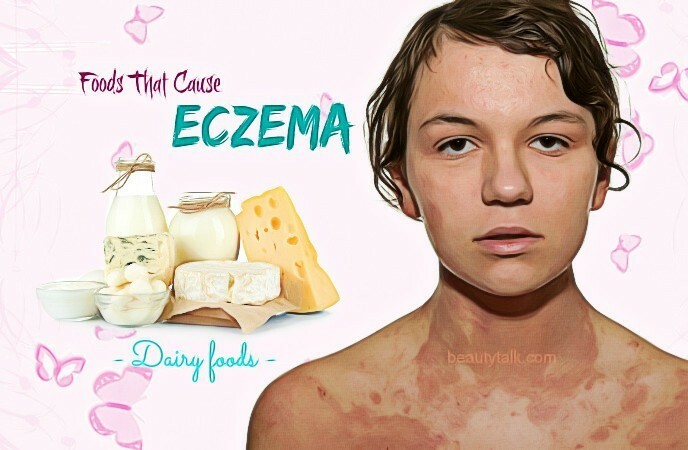 Dairy foods such as milk, yogurt, whey, and cheese are the common triggers for eczema. People who get allergy after consuming dairy are often sensitive to the proteins contained in cow’s milk. The sensitivity or hypersensitivity will result in inflammation and skin irritation, provoking pre-existing conditions like eczema . When the allergic reaction happens, the chemical called histamine, which is responsible for these common symptoms of allergy will be produced. This histamine level in the skin will cause irritation and inflammation, make the skin unstable and provoke the break out of rash. The other symptoms that come with eczema from dairy are asthma with wheezing or coughing, digestive issues like nausea or entail gas and sinus complications. The allergic reaction can make the nasal passages inflamed and block the breath through the nose, resulting in sinus postnasal drip and headaches. Gluten, the protein found in rye, barley grains, and wheat can lead to an allergic condition and cause eczema. Just a small amount of gluten can trigger the immune system reaction, resulting in severe stomach pain and also skin condition. These gluten sensitivity reactions appear as herpestiformis, or also known as DH, a type of eczema rash. Once these reactions due to gluten happen, itchy rashes may appear as blisters on the elbows, knees or back. Without timely actions, the blisters form lesions and the rash spread out quickly, which means that eczema condition gets worse. If you can remove all the gluten from the daily diet on time, the new blisters will be prevented and the existing one will be healed . Sadly, there are several hidden sources of gluten that people normally are not aware of. The three most common foods contain gluten are spices, lentils, and oats. This protein can also be found in less common places such as multivitamins and soy sauces. Therefore, let make sure you read the product labels and purchase only the gluten-free ones. Some suggestions for you include millet, amaranth, quinoa, sorghum, and buckwheat. Chicken eggs are a familiar eczema trigger for many people. In fact, eggs cannot relate to eczema if that person is not allergic to eggs. It is the increase in the level of histamine caused by egg allergy that leads eczema. If a person has an allergy to eggs, he will experience the symptoms after a few minutes or about an hour. 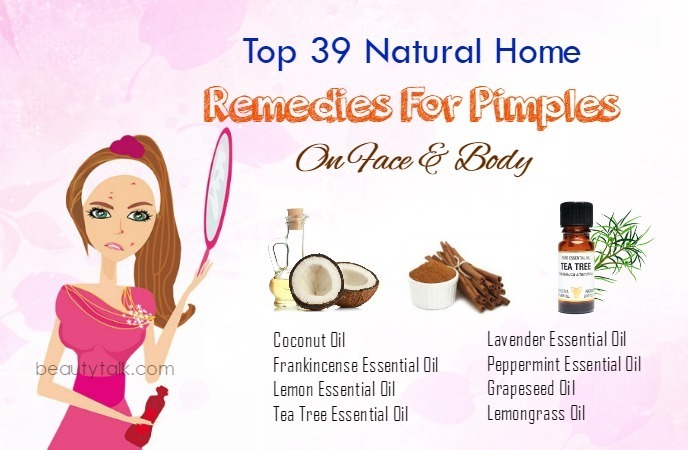 Your skin may get itchy and if you scratch, your skin becomes inflamed, irritated and blistered. The excessive scratching will worsens the condition and lead to secondary infections like impetigo. Other symptoms such as asthma, gastrointestinal complications, and inflamed nasal passages may come with eczema due to egg allergy . Sometimes, not only chicken eggs but goose or duck eggs can cause problems. 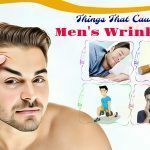 Thus, avoiding all products and foods related to eggs and replace them with foods for healthy skin will help your condition get better more quickly. Products containing soy such as tempeh, edamame, soy milk, or miso can cause eczema in many people. 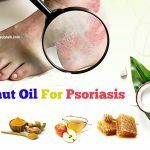 A study in 2013 has been carried out on 175 people suffering from atopic dermatitis, one type of eczema to the correlation between it and soy allergy. The result showed that up to 1/3 of the patients are sensitized to soy products . Moreover, hidden soy can also be contained in various processed foods and ingredients such as vegetable protein, vitamin E, or vegetable oil. Therefore, you should choose a whole food based diet and limit the processed food consumption as much as possible. In 2015, a study in the peanut consumption has been carried out with the participants of 640 infants from 4 to 11 months with eczema. The result achieved shows that more than 20% of infants suffering from eczema are sensitized to peanut allergy . 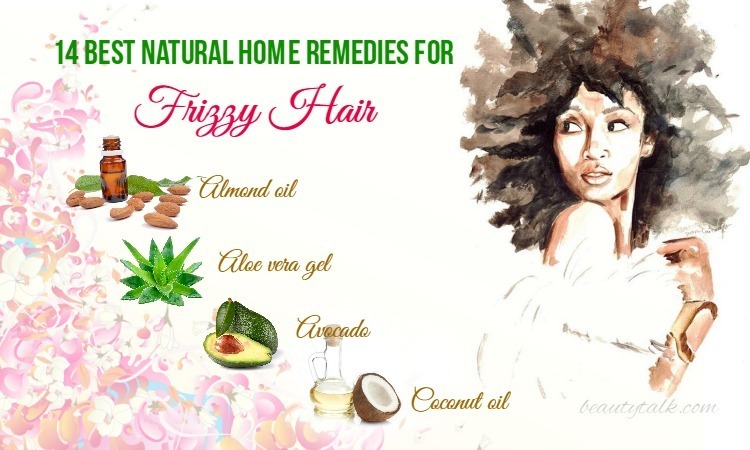 Because it is a common trigger for allergy as well as eczema, peanuts and peanut oil these days are very easy to spot. 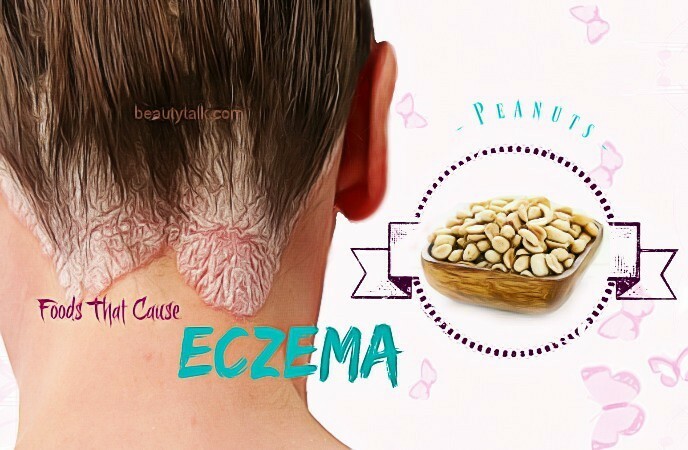 Choose the products labeled peanut free if you don’t want to get troubles with eczema. Tree nuts such as almonds, pistachios, pecans, cashews, walnuts, pine nuts, and Brazil nuts are healthy addition to our diets. However, the immune systems of some people can mistakenly identify these tree nuts, especially almonds as a foreign guest and try to fight against it . The result of this reaction will include allergy symptoms such as coughing, sneezing and itching. 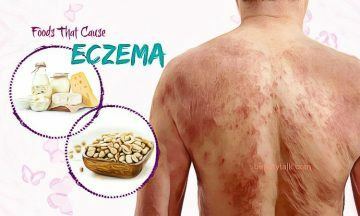 If you fail to recognize and keep consuming tree nuts, the eczema condition will get severer. The nightshade vegetables such as peppers, paprika, chili, eggplant, potatoes, tobacco, tomatoes, and even goji berries are actually uncommon factor for allergy and eczema in comparison to these above foods . However, there are still a few people having allergy symptoms due to the nightshade vegetable consumption. The low- level toxins in nightshade vegetables can cause inflammation for a small number of people, especially who suffer from auto-immune disorders. If you are allergic to nightshade vegetables, don’t forget to limit the pasta sauce and ketchup as well. With the high level of acid, foods such as citrus, tomatoes, and pineapple are one of the common cause of eczema. Even when you are not allergic to them, eating acidic foods when your skin is already irritated will make the condition worse quickly. Oranges and kiwi are two typical and strongly acidifying fruit which contain a rich supply of two itchy chemicals: amines and salicylates. Avoid these products that contain acidic foods if you don’t want to trigger eczema and worsen your skin. 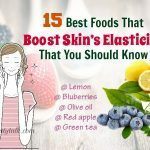 Containing three itchy- promoting elements as amines, salicylates, and monosodium, grapes and grape – products, for example, raisins, wine, sultanas and grape juice will be the last eczema trigger you should know about. 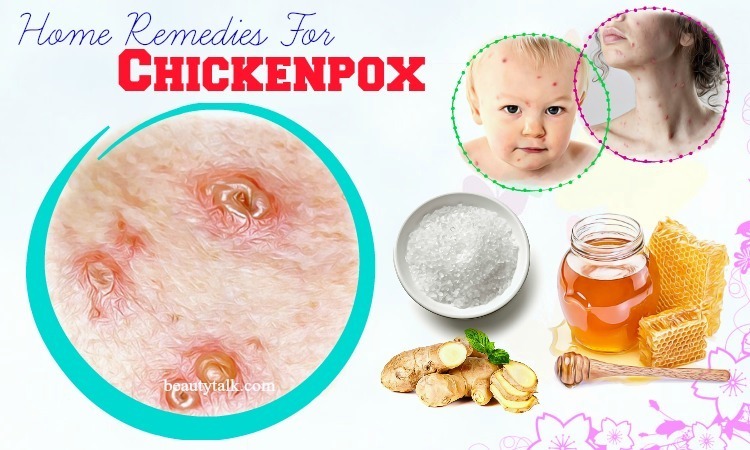 These three chemicals are proved to worsen eczema condition and take it a longer time to heal. Instead, you can try peeled pears as it is an eczema-friendly alternative with low-salicylate level.